From Suicide Attempt Survivor to Oscar Winner! Sunday night at the 87th Academy Awards, first time Oscar award winner for Adapted Screenplay, Graham Moore gave the most dramatic speech. He publicly announced that he had tried to kill himself at the age of 16 and urged everyone to stay weird and different. I’m touched to see more people coming forward, sharing their struggles and taking the stigma away from talking about suicide. I’m more thrilled to hear stories like Grahams’. Tales of people who choose life and just rock it out. I am glad we are all still here. For this to be in the news as my book Still Here: How to Succeed in Life After Failing At Suicide is released feels like such powerful synchronicity to me. By the way, Graham Moore won the Oscar for, The Imitation Game, which is a great movie and well worth seeing if you haven’t. I’ve watched it twice myself. Graham even wrote a line of dialogue in the movie the was very much of the same spirit as his speech, “it’s the very people who no one imagines anything of who do the things no one can imagine.” Indeed. 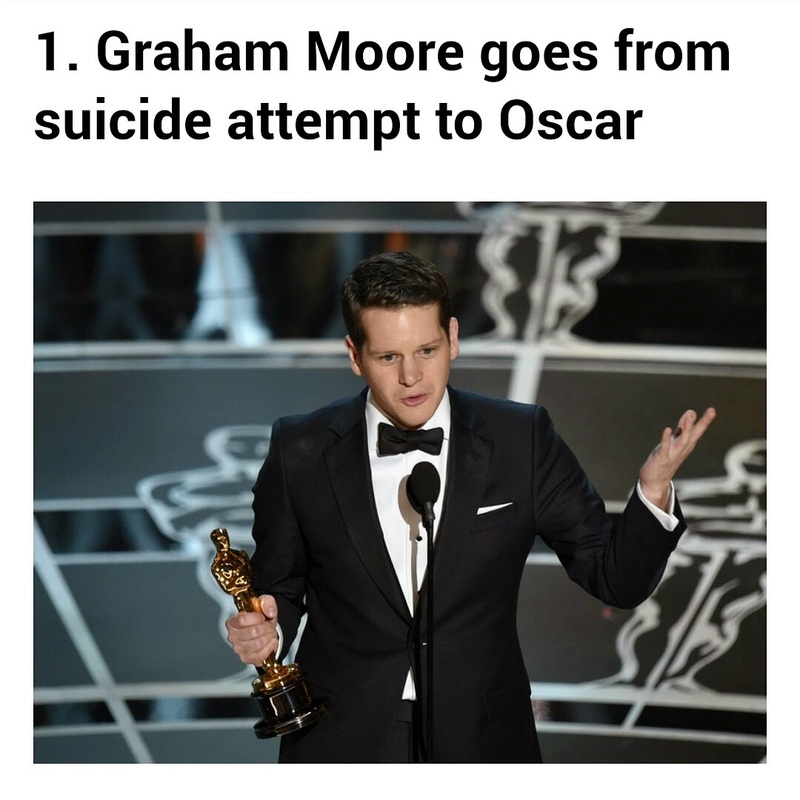 Leave a comment for: "From Suicide Attempt Survivor to Oscar Winner!"